December 8, 2017 | -by: Kevin George. We are all in the festive mood already while we count days for Christmas. It’s the time to light up and decorate your homes, bake cookies, shop gifts and spend time with family. From streets to shops and even our inboxes, everything seems to be decked up for Christmas. With interactivity being the top trend of the year, attractive emails with animation and interactive elements have started showing up in our inboxes. Here’s one from the Monks for this Christmas! Have a look! The more time a subscriber spends on an email, better are the chances of conversion. It is thus essential to create emails that are appealing enough for subscribers. We hope this one did keep you glued. We have always focused on making our emails visually appealing, without compromising on their rendering challenges. 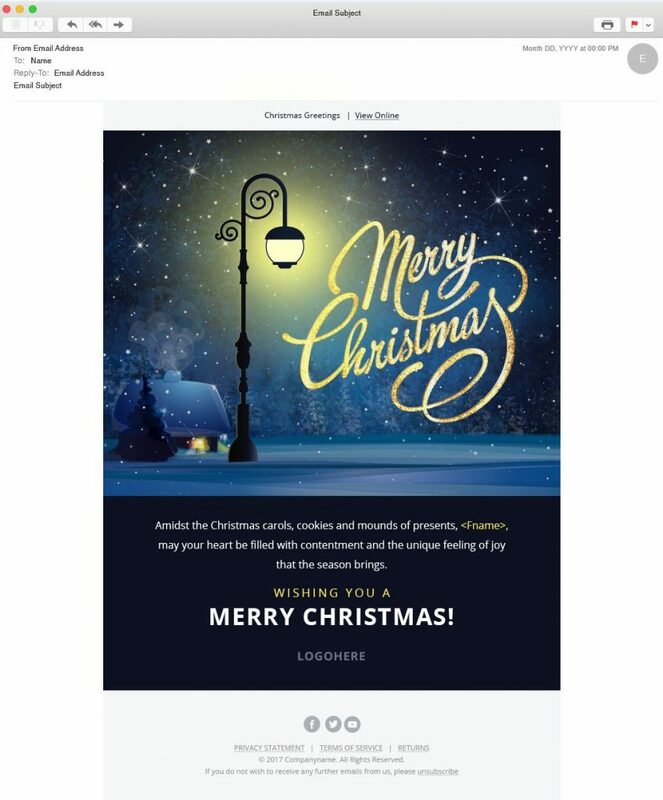 This email uses CSS keyframe animation and GIF animation to bring in the holiday feel. The snowfall and walking Santa evoke happy emotions and are sure to bring a smile on your face. FREE Downloadable, Ready-to-send, Customizable GIF Christmas Email Template! This awesome GIF template is just the thing you need. It features a responsive layout with an ingenious background that would look good on most devices. The template has an appropriate fallback and is tested across multiple devices and email clients. All you need to do is, download it for free, customize it as per your branding needs, and send it to your subscribers. To download the free template, click here! Want us to create customized email templates for you? We have all the expertise and experience in designing and coding well-crafted, visually appealing email templates and landing pages. To know more, get in touch with us at hello(at)emailmonks(dot)com. Happy Emailing and Happy Holidays!